Standby and Go Productions, Inc. Standby and Go Productions, Inc. specializes in live event platforms such as corporate general sessions (our specialty), television, and theatre. My name is Teresa Aguilera. I am a Stage Manager/Show Caller and Assistant Stage/Deck Manager (ASM) and a Producer. In these roles I serve as liaison between clients, AV partners, agencies and producers. I have extensive experience in high profile client relations. I am bi lingual being fully fluent in Spanish. I am able to provide a unique service by being a hybrid- able to both produce and stage manage/call. My wide-ranging experience in agency work, experiential marketing, music, automotive, television, video packaging and storytelling can take any event to the next level. 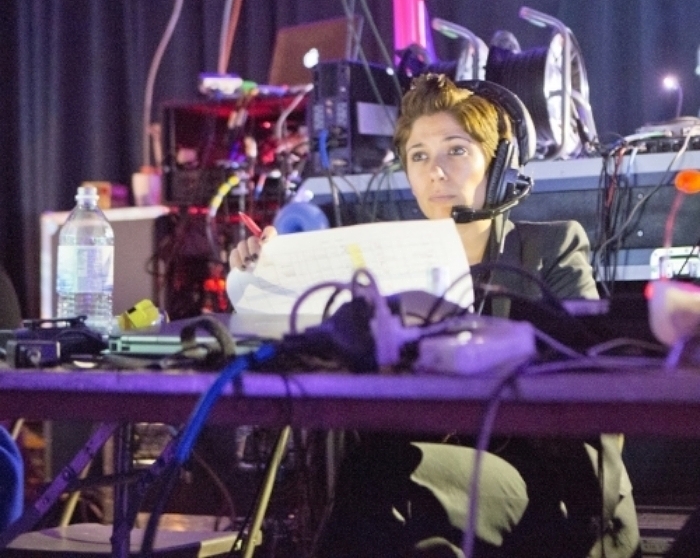 Extremely independent and capable, I can hit the ground running in multiple roles: stage manager/caller, ASM, technical director (minimal technical assembly), producer, production manager and field producer. I can oversee an entire project from creative concept to pre-production and logistical planning, to rehearsals, and finally to onsite execution. From years of working with some of the best professionals in the business, SB&Go has extensive resources and can offer other services such as: audience experience, brand ambassadors, technicians (LD, A1/2, PM/TD, Director, AD, camera, video engineers), designers, graphic design, creative direction, photographers and video shooting/packaging services. SB&Go can customize your experience based on your project's needs. Let SB&Go be your one stop for all of your live events!